We take a look at deals from last year to determine this year's best hunting grounds. Once a novelty, now a necessity, Apple AirPods have decidedly become mainstream. 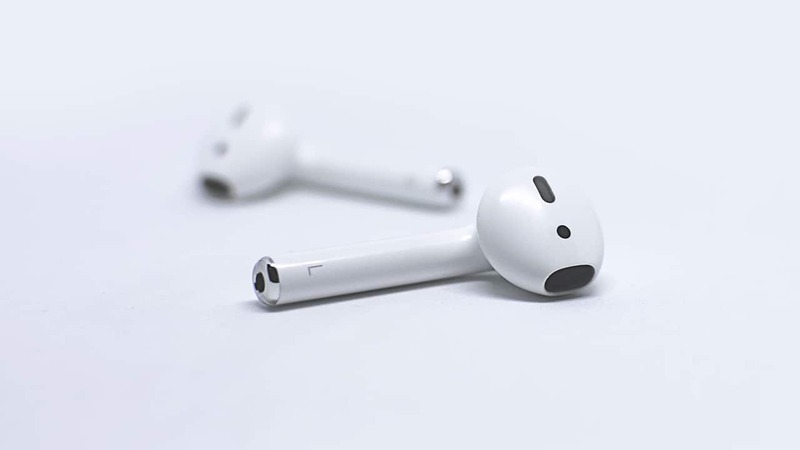 Last July Slickdeals reviewed Apple's AirPods with a sharp eye towards their functionality and fashion, and now our mission is clear: find the best places to get 'em, and get 'em cheap. A variety of deals for Apple AirPods surfaced throughout 2018, and with the bulk of the new year looming ahead, we're here to figure out where we should be looking for them next. The following is a thorough breakdown of the best places for Apple AirPods deals and discounts based on what we've previously seen in the deal forums. Google Express had an amazing deal on 2nd generation Apple AirPods during April 2019. Costco members could pick up the earbuds via Google Express for just $139.99. The new AirPods technically retail at $199, but most major retailers regularly mark them down to $159. Either way, this was already a solid discount. Even better, customers who never used Google Express before saved 20% off their first order (worth up to $20) with the promo code APRSAVE19 through April 28th. That brought the price of the new Apple AirPods down to $119.99 before taxes. It even came with a charging case included! It was one of the best deals we saw on 2nd generation AirPods. Deals from Google Express may be a little less frequent than some of the other heavy-hitters, but when they do come in, they come in hard and fast. This particular example sold out in about 12 hours. Set a Deal Alert now to stay on top of them. With a surprising amount of decent deals for the Apple AirPods under its belt, Costco Wholesale comes in as a definite contender for being the best place to look. Most recently, Costco ran an online deal for its members, discounting the Apple AirPods to $139.99, and have run similar deals all the way back through late 2017. The price fluctuates upwards towards $145 during different sales, and keep in mind that you'll need to be a member to purchase from Costco. Close on Costco's heels and boasting an even slicker price tag comes Rakuten, with its most recent deal offering Apple AirPods for $126.65, plus free shipping and handling. This deal is a pretty frequent flyer from Rakuten, but this particular price tag is a historic low, as other offerings ranged from $135.99 and up. You'll most likely need to have an account with Rakuten to access these sales, but since it's free to register, the trade-off is pretty painless. Sam's Club's most recent sale on Apple AirPods had them at $129, a decent offering by even Slickdeals' tough standards. Promotions for Apple AirPods from Sam's Club are relatively few and far between, however, and you'll need a membership to take advantage of the low pricing. There's no denying Adorama has had a handful of decent Apple AirPods deals over the last year, but it's fair to say those were intermixed with not-so-hot deals on the same product. Last summer they ran a deal selling them for $135, a competitive price at that time. Deals on the Apple AirPods might be more scarce from this seller, but they do exist. The current asking price at Adorama is above MSRP, so we'd suggest setting a Deal Alert or browsing the other stores on this list. As recently as last October, MassGenie presented a sale on its Apple AirPods that listed them for just $127.95. This deal from MassGenie enjoyed a fair amount of attention from the Slickdeals crowd, and it's not impossible for the company to make another impressive showing with a new sale for 2019. Does it seem like a few keynote speakers are missing from this list? We thought so, too. Normally the deal kings of the tech industry (stores like Best Buy, Target, B&H Photo, and even Amazon) were conspicuously absent from the slew of offerings we saw last year for Apple AirPods -- at least, as far as deal threads were concerned. With a new year always comes new deals, however, and as long as people continue to show interest in Apple AirPods, it's likely we'll see more and more stores offering enticing deals for these earbuds. When it comes to Apple, furthermore, there's always the possibility of a new model landing soon, which only means tasty price drops across the board for the existing, and equally relevant, tech.